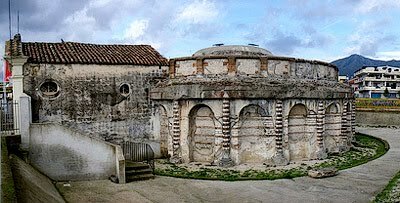 These two enormous funeral monuments are located on the via Appia, just outside the walls of the ancient Capua. The “Conocchia” is called in this way because its shape is similar to a distaff, a tool used in wool spinning. 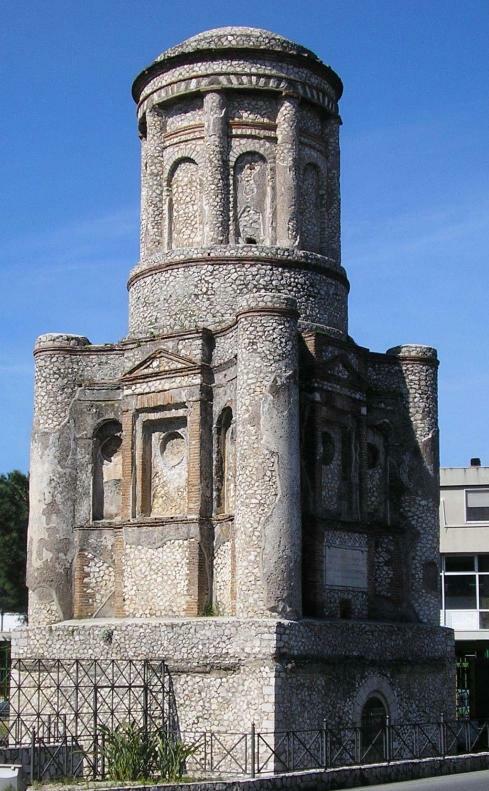 It was built in the second century AD. 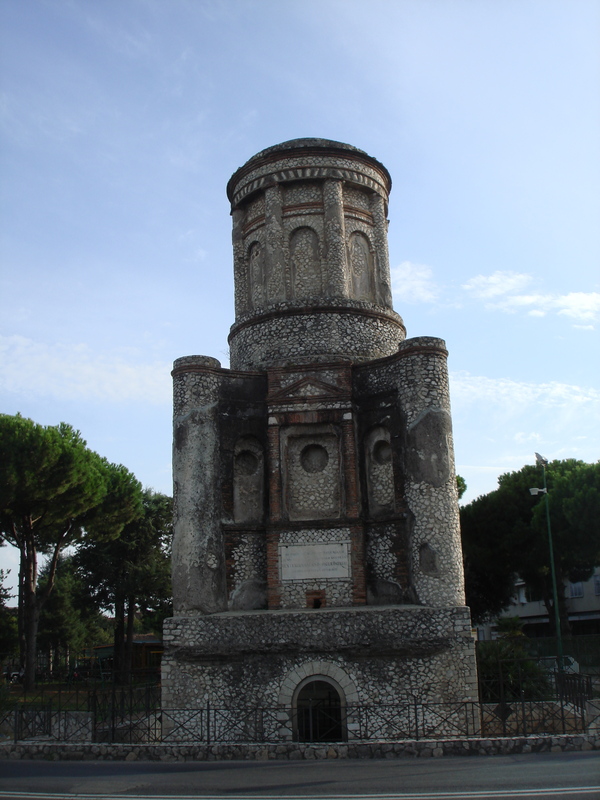 According to the legend, here was buried Flavia Domitilla, Vespasianus’ granddaughter, persecuted by emperor Domitian because she was Christian. 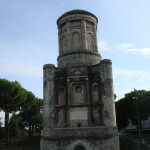 The “Carceri Vecchie” is a mausoleum built in the first century AD. 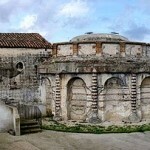 Its name means “old prisons” because according to the popular tradition it was a prison for gladiators. 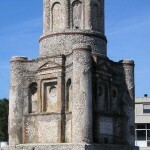 In the 19th century a church was built in front of its entrance.